This healthy appetizer recipe can be used to dip your chips, spread over your main dish or use it in place of regular salsa for many recipes. The blend of different flavors in this salsa will really waken up your taste buds. 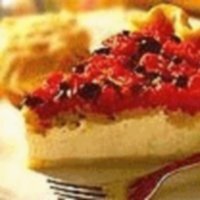 The combination of spicy, sweet and tartness of the cherries is a unique and delicious taste. So if you are thinking Mexican flavor for your pork or chicken tonight, try making this recipe idea to go with your meal. This recipe is a refreshing change from the traditional spicy salsa appetizers. With the sweetness and tart flavor of the cherries, you will want to make this for all occasions. The combination of sweet and spicy tastes are sure to get your attention. Traditional salsa lovers will be delighted by the change of pace of these flavors. You can use this salsa with chips and serve it as an appetizer or eat it for a snack. Make it to go with your main course and and spoon it over your chicken or pork meal. Coarsely chop frozen tart cherries. Let cherries thaw and drain reserving 1 tbsp of the juice. When cherries are thawed, put drained cherries, dried cherries, onions, jalapeños, garlic and cilantro into medium sized saucepan and mix well. Combine reserved cherry juice and cornstarch into a small container. Mix until smooth and then stir into the cherry mixture. Cook over medium to medium-high heat stirring constantly until mixture thickens. Let cool and serve with tortilla chips or over pork or chicken meal. 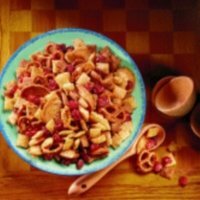 The Points Plus and Smart Points values do not include the frozen cherries for this recipe but does include dried cherries per the rules for fruits. These ground turkey nachos appetizer recipe would go great with this Cherry Salsa. Just substitute this salsa for the salsa ingredient in the nachos appetizer recipe. 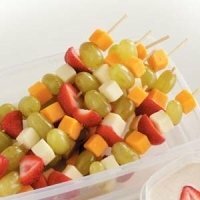 that uses fruit to give it fun flavors. 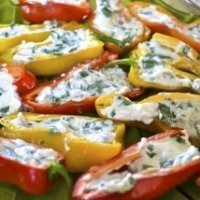 These mini peppers are sweet and stuffed with creamy goodness. No gathering is complete without a tasty party mix recipe. This quiche is not your typical recipe. With tomato and basil it has a unique flavor all its own. 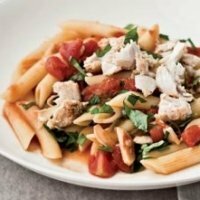 Swordfish is a nice change for your fish recipes. This tossed salad is paired with a zesty lemon French dressing. Download this free spreadsheet to track your WW points. It will track your daily points, weekly allowance and you can even record and track activity points. After your long workout, make sure to refuel your body with the right foods. Read this article to learn more about what and when to eat after exercise. 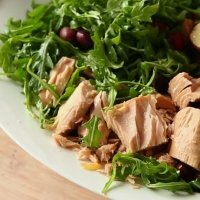 Check out the benefits of eating low carb foods.